The two main functions of a furnace are to keep your house warm or cool. But how do you know when your furnace needs maintenance or replacement? And which tips can you use to ensure your furnace will do it job efficiently? Here are a few maintenance tips that will help keep your heating system running throughout the cold season. Filters need to be changed every few months but inspected once a month to ensure that there is no build-up of dust, dirt, and debris which interfere with the airflow of the unit. A quick inspection each month might catch an excessive build up or perhaps a flaw in the filter itself that you can change out quickly. When dust builds up in the ducts, it cuts down on the efficiency of the heating system as it requires more energy to operate. However, a more significant danger is that the heat may ignite the dust under the right conditions and create a dangerous situation. Therefore, you will need to have the ducts cleaned on a regular basis and inspect them occasionally for buildup. This type of thermostat can save you money over the cold season by shutting down the heating system when you are away or late at night when asleep and then turning on before you get back or wake up. This type of thermostat can save you money every day which will add up considerably over the long run. Your windows will let out a considerable amount of heat over the winter, so be sure to have them closed at night and open during the warmer part of the day to let in the sunshine which will help heat your home, particularly on the south side. You should also consider purchasing storm windows for better insulation and sealing up any cracks or openings around the windows to keep in all of the air. You should keep company information to the closet that holds the furnace or somewhere nearby that is easily seen. This information should be the name, number, and operating hours of your trusted HVAC company that does the maintenance and repair of your furnace. By posting the information next to the furnace, you can call them immediately to consult or schedule a visit in case the unit breaks down or is making loud and unusual noises. Signs you may need a new furnace. An increase in noise. It’s normal for your furnace to make some noise. However, if it seems to be getting louder, or if the kinds of noises it makes have changed, take note. Listen especially for banging, rattling, popping, clanking, or squealing noises, sure signs that your furnace has seen its best days. Your energy bills are going up, but the cost of energy isn’t. Are you paying more for your heating bills than you have in previous years? First, check and see if and how much the cost of your energy source (gas or electric) has risen. If your bills have increased more than the price of energy has, it’s a good sign that your furnace has outlived its best years. Some chambers in your house are too cold or too hot. Duct problems, inadequate insulation or improper equipment operation could be the main cause for this. You can have a professional check on your ducts and insulation if you don’t know where to check. You’re repairing it more frequently. A furnace has more breakdowns in its last years of life than in its previous years. In fact, you may spend more on repairs at the end of its life than in all of the other years combined. If you are noticing that you have to call the furnace repair company more than you used to, it’s probably time to think about a replacement. You may also decide to buy a new furnace instead of spending a couple of hundred dollars every time the repair company comes out. 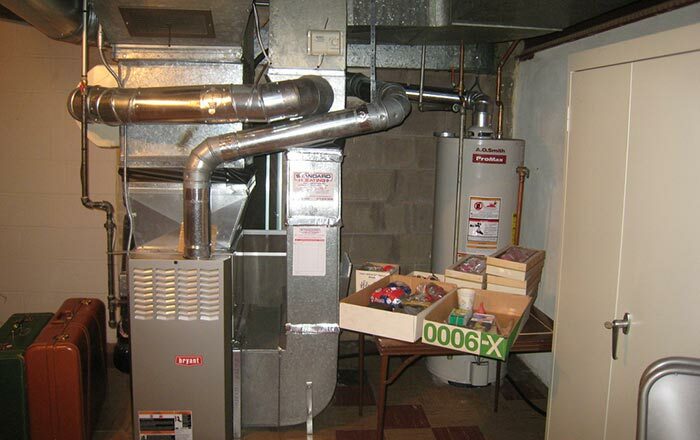 It’s important to find a respected heating services company that can provide you with the right inspection and maintenance to keep your furnace running smoothly through the cold season. Be sure to choose only licensed and insured heating and air conditioning company to do the job.